A young volunteer draws the winning ticket for our Hawaii raffle. 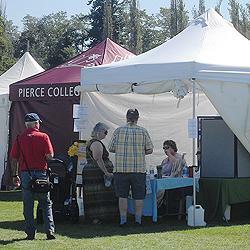 Gorgeous weather and tons of fun activities combined to make a memorable Summerfest 2013 on July 13 and 14. 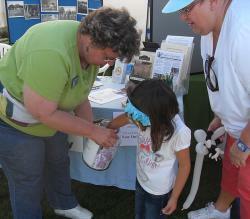 And your Historical Society was there! 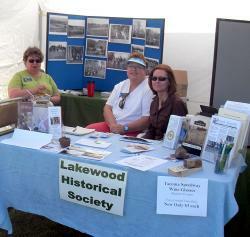 Thanks to our wonderful volunteers, visitors to the Fest had their questions answered about Lakewood History, our organization, and our partner in preserving local history, Grave Concerns, who shared the tent. For more photos of the event, see our Facebook page.